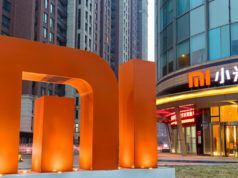 Apart from offering the amazingly-priced smartphones with an amazingly-prepared spec sheet, Xiaomi also competes in the audio accessory arena. 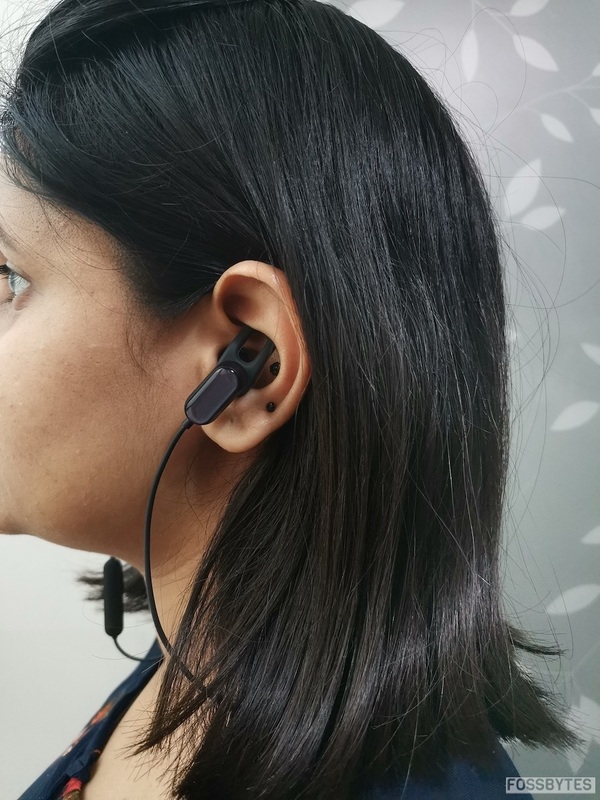 Among the various affordable options it provides us with, the company has recently unveiled the Mi Sports Bluetooth Earphones Basic, priced at just Rs 1,399. 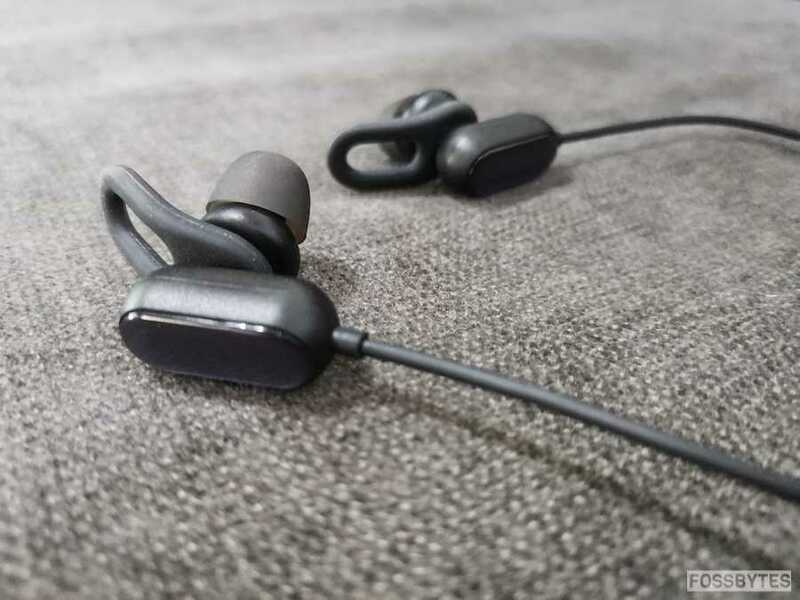 As Bluetooth-enabled earphones are popular enough to become an apparent music companion quite soon, the ones by Xiaomi are intriguing (for their price tag) enough to try and test it. Therefore, I kept my current earphones aside for a while, and used the Mi Sports Bluetooth earphones to find out whether or not the pair is a steal! The very first thing which I or any other person notices is the design and build of anything. And the Mi Sports earphones have impressed me to the core. The negligible weight and form factor is a plus point for all those (including me) who want music streaming from the lightest-of-all audio products. While the lightweight and portable design helped me carry it everywhere with ease, I felt that the pair is somewhat flimsy which could contribute to its short life-span. The two earbuds are held together with one (not-so-long) rubber cable, putting which around the neck will complete the step one in the music listening journey (I will come to the other steps in the performance section). The single cable has a single in-line remote, performing multiple functions. The in-line remote can switch on/off the earphones, raise up the volume, lower down the volume, LED light and also has a micro-USB port to charge the earphones. The LED light turns white when the pair is switched on or is charged, and turns red when it is powered off and while charging. However, one downside to it is that at times it took me a while to switch on and I had to long-press it to ensure it did. Apart from the lightweight design, the pill-shaped earpiece made up of metal adds on to the looks of the earphones. Otherwise, it would have been a bland pair and scored poorly in the looks department. The earpieces come with adjustable ear hooks, which makes the music listening spree a comfortable one. Additionally, the earbuds come in various sizes (five to be precise) which the users can choose from depending upon the convenience. Keeping the longevity of the earphones aside, one thing which kept me away from noticing the negative aspect of it is the fact it never came off my ears even when I was jam-packed in the metro with loads of people around. Therefore, my verdict for the design department is a positive one, and I feel it is a decent pair to own. Speaking of the tech specs of the Mi Sports Bluetooth earphones, the pair comes with support for the Bluetooth version 4.1 and has a range rated at 10m. 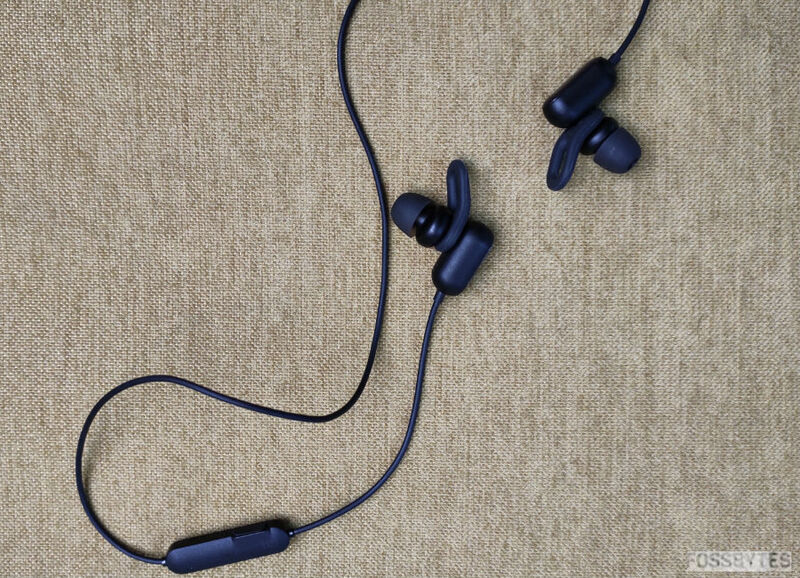 With a battery capacity of 120mAh, the Xiaomi Sports earbuds weigh 13.6 grams. Additionally, the Xiaomi wireless sports in-ear headphones come with IPX4 splash and sweat resistance. 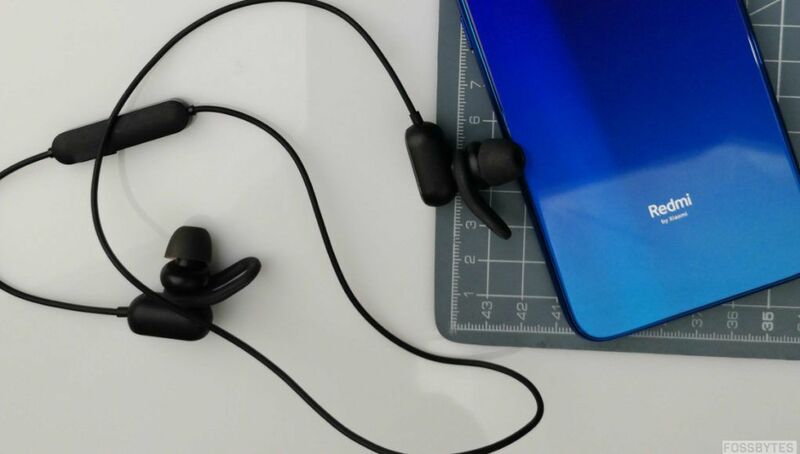 On paper, the battery life of the Xiaomi Mi Sports headset is expected to last up to nine hours of usage, which I feel is sufficient for this price point. However, to my surprise, the in-ear earphones lasted me more than two days which is quite impressive. To check on the battery life, I even left the pair connected to my smartphone for hours without actually using it, and it did not die as quickly as I expected. 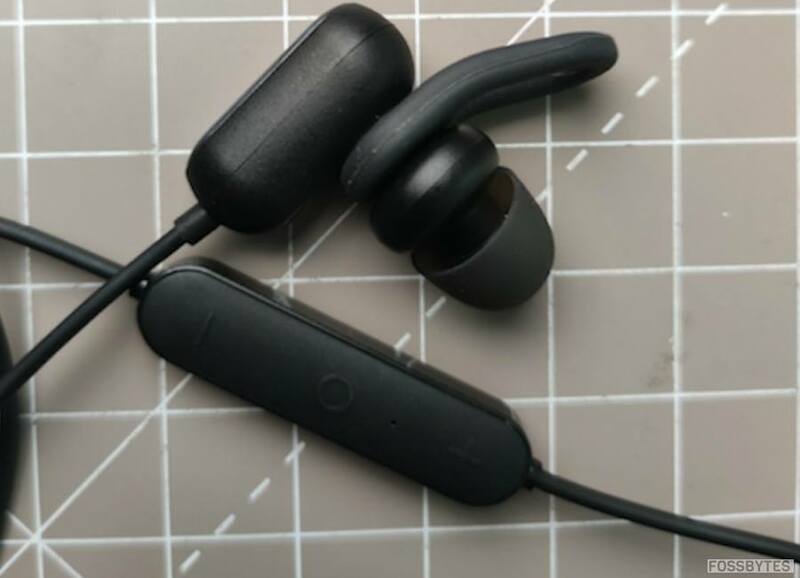 As for the charging time, the Xiaomi Mi Sports Bluetooth in-ear headset, the company claims it takes two hours to take in all the fuel, and it precisely took the claimed time and even less in most situations. Another attraction of the earphones is the support for IPX4 resistance which works. While it doesn’t ensure that the earphones will work if you’ve submerged the pair entirely in water, splashes or some sweat won’t hamper the working of the earphones. Before I jump onto the obvious question “how did the earphones performed?” I want to mention the other steps I talked about at the beginning. Step 2 is all about connecting the earphones to the desired device, and I started with my smartphone (used it with my laptop too). All you need to do is tap on the in-line remote to switch the pair on, head to the smartphone settings to turn on the Bluetooth and pair it with the headphones, and once you are connected, the pairing up message will conclude the process. Step 3 is pretty easy; start playing music! While I was reviewing the Bluetooth-enabled earphones, I followed the usual drill of testing the performance in every music genre possible. I listened to pop, Hindi, Punjabi, EDM, Slow songs; to sum it up, I tried covering most of the areas. If I have to give out an adjective for the performance, it will be impressive. When I started using it, my first impression boiled down to below average, and I wasn’t sure if I liked it. But as I proceeded, the earphones’ performance started impressing me. Be it low, medium, or high volumes, the earphones’ output was clear and decent. The audio output was well-balanced, and I thoroughly enjoyed my music streaming. As for the bass and the treble, both appeared adequately highlighted and well-balanced. Overall, the music appeared crisp, and the various notes of music were well-produced. While the earphones, more often than not, performed up-to-the-mark, they were slightly noisy and lacked clarity when some rock music was played. Coming to sound leakage (a part which tends to make or break the image of any audio product), I could feel some leakage when the volume was pretty high. However, it wasn’t to the extent that it would lead me into hating the pair. Among others, sound isolation was average as I could hear some surrounding noise while the earphones were on. However, it did not happen when the volume was high. Furthermore, the earphones were not prone to heating issues while being used, which is a plus point, and the calling was fine too. The Xiaomi Mi Sports Bluetooth Earphones Basic, while coming up with a long-tail epithet, has a decent, not-so-long price tag of Rs 1,399. 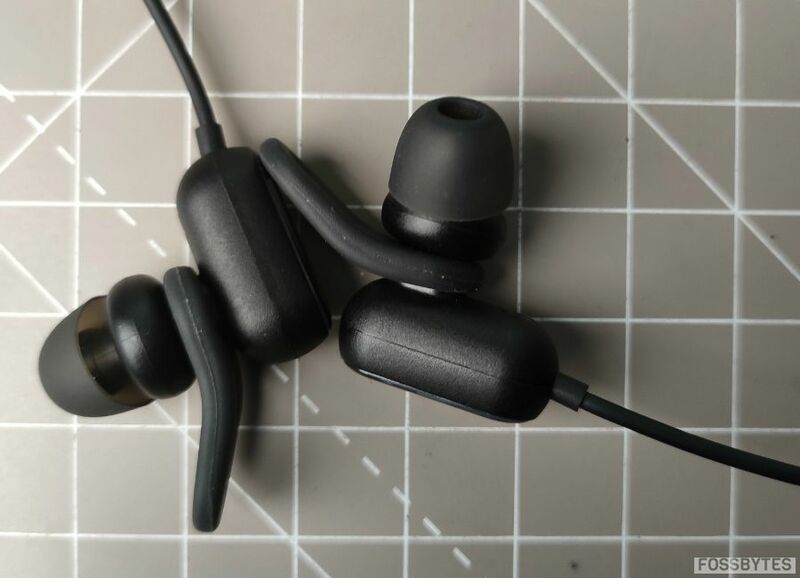 While it is not for those seeking amazing audio performance, with decent performance plus a comfortable and easy-to-carry design, packaged with an affordable price, the pair is an option worth considering. The Xiaomi Mi Sports Bluetooth Earphones Basic offers a decent performance clubbed with a portable and comfortable design. While its performance is above average in most cases, it can bother at times. Nonetheless, this is an option you can go for, given its price.